Protein supplements are becoming more and more popular. However, I think that a lot of people still hold on to the wrong idea that protein is only useful for athletes looking to gain weight and increase muscle mass which, let's be honest, is not every girl's goal at the gym. But protein is not just for bodybuilders. If you live an active lifestyle, chances are, protein can help in meeting your goals. Protein is a class of organic compounds and is an essential part of life as it helps compose body tissues such as muscle, hair, and so on. Protein molecules can be broken down into aminoacids - some of which our body naturally produces, others which we may only obtain through food. As such, protein supplements can perform a variety of functions, from helping muscle mass recovery after a workout, to filling gaps in your diet. This latter is particularly important for those who follow a vegan diet and eliminate protein intakes from meat, dairy and eggs. One of the most popular ways to intake protein supplements is in powder form. This is the lowest-calorie way to get your protein, as it contains very little fat and carbohydrates. In fact, you can expect to consume just around 4 calories per gram of protein - hard to beat by even the leanest of diets. 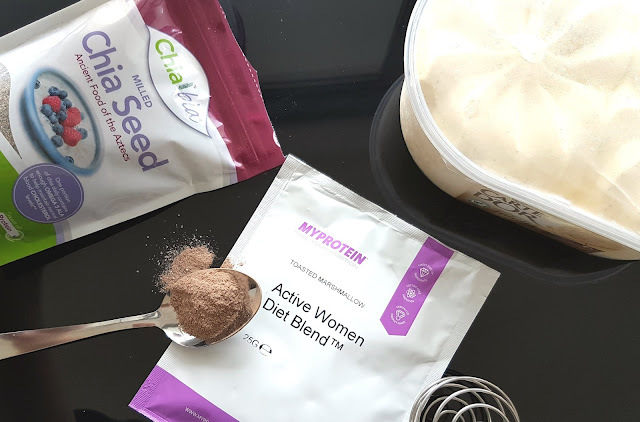 I like to make a protein shake for after my most demanding workout sessions, but you can also sprinkle protein powder in your morning oats or pancakes for the same effect. 1. 1 scoop MyProtein Active Women Diet Blend* whey powder. My favorite flavors are chocolate fudge brownie and toasted marshmallow. 2. 2 scoops cocoa powder. 3. 1/2 scoop ground chia seeds. Don't worry if you're not a fan of the shakes though, as more and more health-focused brands launch yummy protein-filled snacks. Some of my favorite are Bounce peanut protein balls and MyProtein skinny protein bites*. However, please remember that these examples of protein supplements are exactly that - supplements. Protein shakes, snacks, or capsules should be taken in addition to a healthy diet and active lifestyle, and should not be seen as a meal alternative. 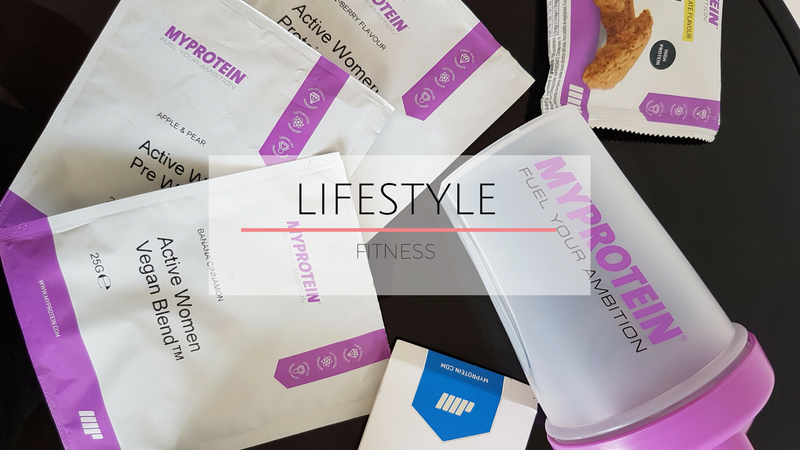 Disclaimer: The MyProtein goodies marked with an * in this post were gifted to me free of charge. However, this does not affect my review and all opinions expressed here are my own.